Sorry, Maison CHARLES Coral-Motif Lamp is not currently available. Signed Maison Charles &quot;Mais&quot; table lamp. 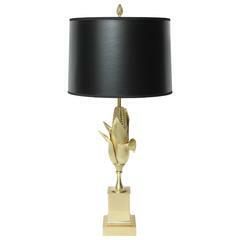 Superb Maison Charles lamp, bronze eagle, original bronze shade. Three lights, 60 watts per light. US rewired and in working condition. 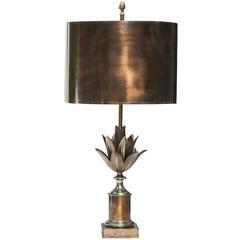 Very rare huge table lamp by Maison Charles. 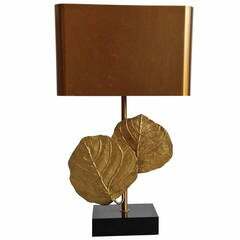 Tall nickeled bronze table lamp. 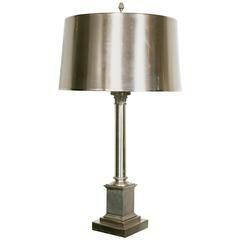 Large lamp in steel with original shade, in neoclassic style. Signed "Charles," circa 1960. 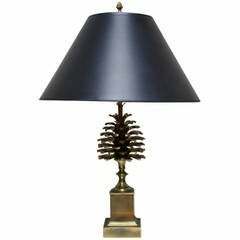 A French bronze lamp depicting a pine cone by Maison Charles. The centre rod is adjustable, so the height can vary. 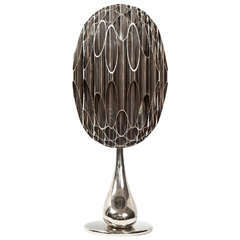 Fantastic bronze table lamp model 'Artichaut' by Maison Charles. 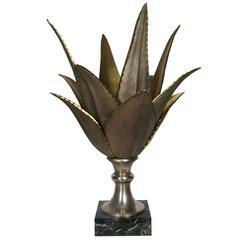 Bronze patinated brass shade and base, signed on the base. France, 1970s Measures: H 74.5 cm, Ø 35 cm.